Precise and efficient goods transport service by means of silo, curtainsider and refrigerator lorries on Italian and international routes. Over 2,000 m2 of covered sheds for storage and transfer activities, with the possibility of storing goods on third-party semi-trailers. 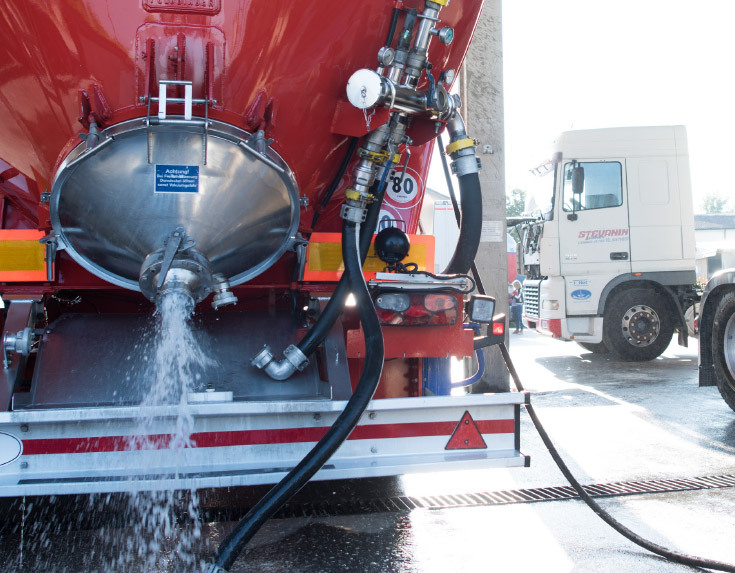 Internal workshop, tank cleaning and washing with adequate systems, change of transport type, big bag transfer on silo lorries. 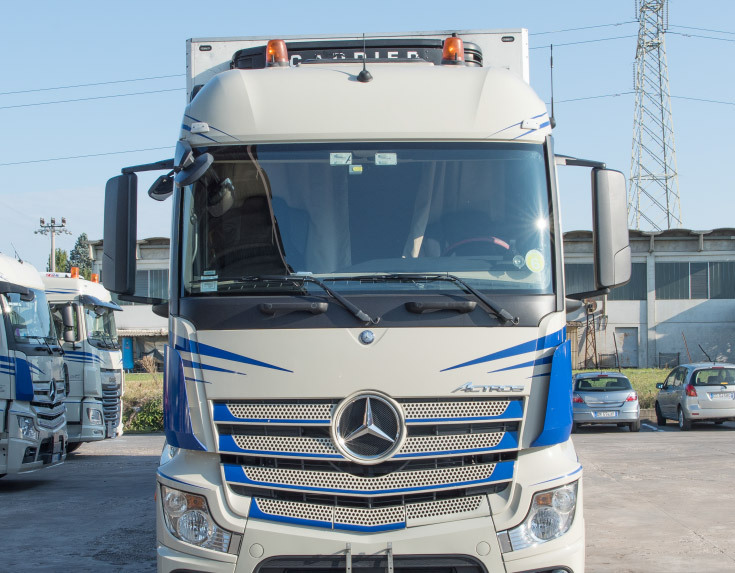 Thanks to 70 years of experience coupled with advanced technology, a modern vehicle fleet and specialised personnel, we are able to effectively manage any type of transport. 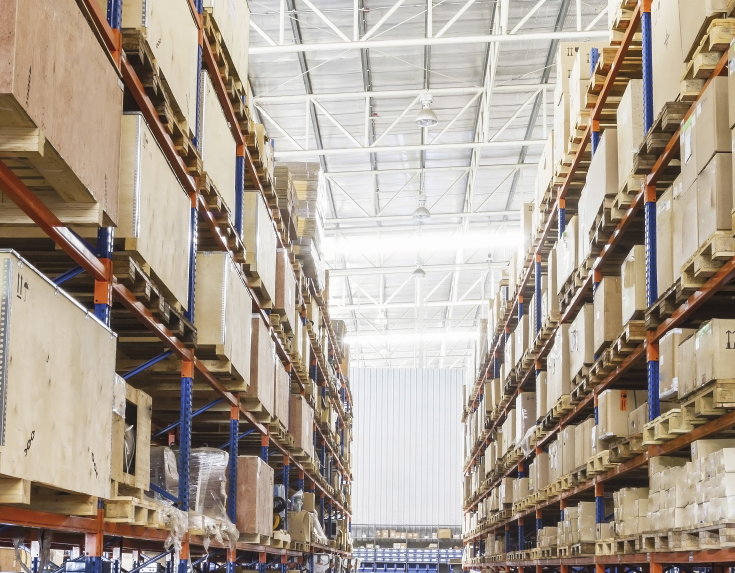 With 70 years of experience and technologically advanced management systems, our logistics services are able to guarantee quality and efficiency. Thanks to rigorous training tailored to the specific service required, our personnel is able to manage any type of transport in an impeccable manner. We have a modern fleet of vehicles of various sizes that are constantly serviced to guarantee safe conditions during every transport operation. Moreover, all our lorries are fitted with a GPS localiser. We train our personnel to improve their driving performance and limit fuel wastage, tyre wear and brake wear. All our vehicles comply with Euro 6 standards and intermodal lorry-rail transport enables us to reduce CO2 emissions.